Are you a business owner searching for a Debt Collection Agency in Idaho Falls, ID? Are you specifically looking for a Business Collections team who will work to get you paid? For small business owners, a bad debt can mean the difference between profitability and net losses. Idaho Falls Business Law specialist. Drew Pendelbury can help collect for your business. Sometimes, the biggest challenge for business owner comes when it is time to get paid. While there are smart ways to avoid the debt collection process, sometimes you need the services of a professional for Debt Collection. No matter what kind of business you operate, there are always going to be some customers who don’t pay their bills. As an account ages, the chances of collecting on it decrease dramatically. Businesses benefit tremendously by seeking help on their past-due accounts from a Business Collections Lawyer. This works effectively to get delinquent customers to pay their dues. Debt Collection agencies and lawyers are well versed in the collection techniques, debt collection laws and compliance issues. Hiring the expert services of a reputable Idaho Falls Business Law professional will often yield better results than you can accomplish on your own. When it comes to Debt Collection for businesses, keep in mind that not all debt collection agencies are created equal. Debt collection professionals often specialize in certain areas. For example, Business Collection lawyers like Drew Pendlebury excel in dealing with business related matters or debts. 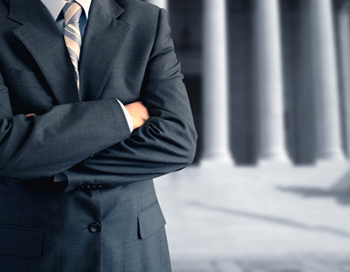 It’s important to choose a team that has great expertise in Idaho Falls Business Law. A competent Business Collections team will work for you and allow you to concentrate on your business while saving money, time and valuable resources. You need an effective and affordable Debt Collection Agency to reach late or non-paying customers and collect the owed amount. Trying to collect on delinquent accounts can be frustrating, time consuming, and mentally taxing. As a Idaho Falls Business Collection specialist, we can often be your only hope to collect any money from a debtor. If your business is located in Idaho Falls, or a nearby area, reputable Idaho Falls Business Law consultants can assist you with Business Collections. Drew Pendlebury is a general practice lawyer located in Idaho Falls, ID. His goal is to help people with their legal needs, including Debt Collection. He can help you with his outstanding reputation in the legal field. Drew Pendlebury uses a professional and diplomatic strategy with late paying customers. Call today to discuss your needs and get started.